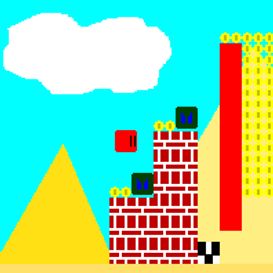 I make downloadable games by myself using Game Maker 8 PRO. This page is where I post my games. All the games on this page are free and easy to download. Also the games on this page are made with little to no code!!! Join Boxo on his platforming adventure to save his world from the evil boxes and get the Mystery Crown back before it's too late! 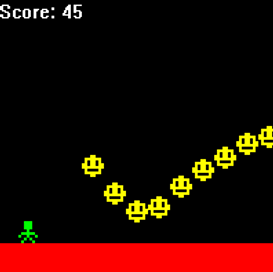 Avoid the Rolling Smileys and ghosts by jumping over them! Avoid as many Bouncing Smileys as possible! Go for a high score! 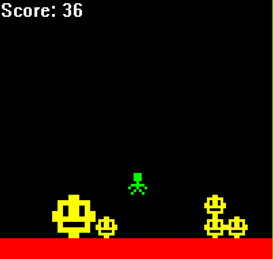 Defeat waves of 8bit zombies in this action packed game! There are 3 fun game modes to keep you killing those zombies! Join Boxo on his adventure to save his world from the evil boxes and get the Mystery Crown back!